Assignments 2017 showcases the best images taken by members of the British Press Photographers’ Association in the past 12 months. 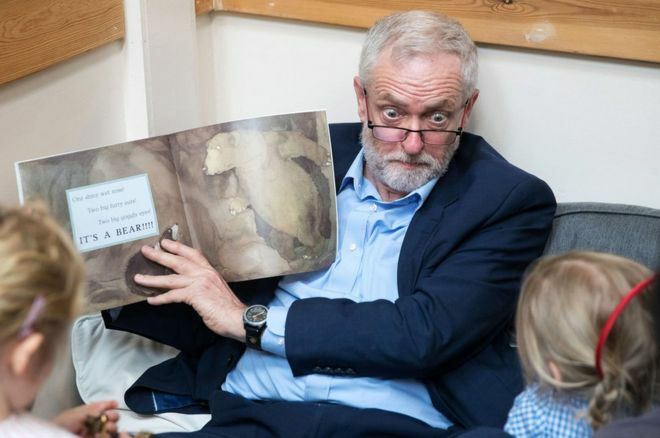 Labour party leader Jeremy Corbyn was also on the campaign trail when Matt Cardy photographed him at an expressive moment as he read a story to children in Bristol. Outgoing UKIP leader Nigel Farage was pictured by Daniel Leal-Olivas awkwardly embracing the new leader Diane James at the party’s autumn conference. Ms James stood down as leader last month after just 18 days in charge. Joanne Davidson photographed Katy Perry on stage at Glastonbury. 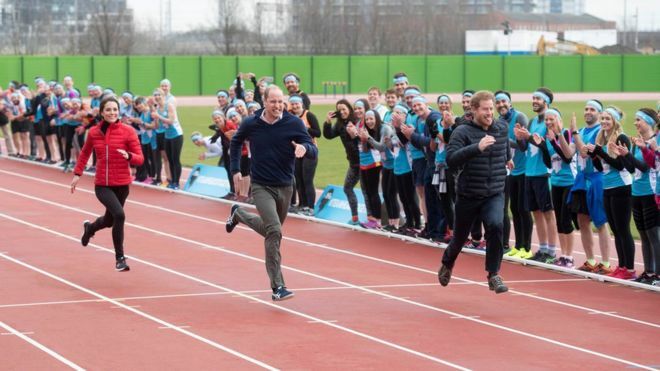 Paul Grover captured the moment Prince Harry beat his brother and sister-in-law, the Duke and Duchess of Cambridge, across the line in a race at the Queen Elizabeth Park in London as part of the Heads Together #oktosay campaign. Graham Whitby Boot’s picture of Kendall Jenner was taken at the Cannes Film Festival. 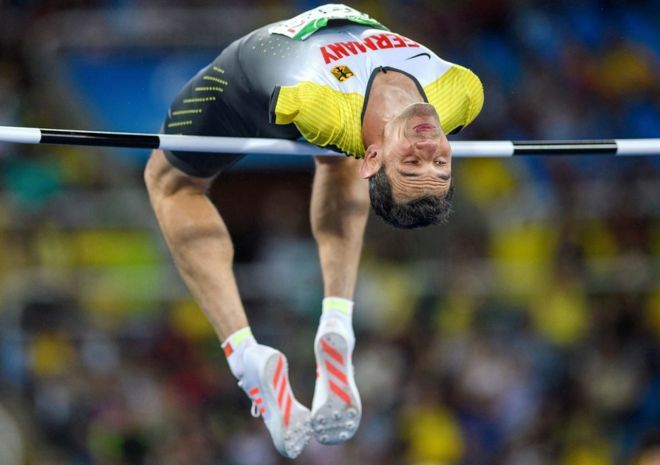 Bob Martin photographed Germany’s Reinhold Botzel during the High Jump T47 Final, at The Paralympic Games in Rio de Janeiro. 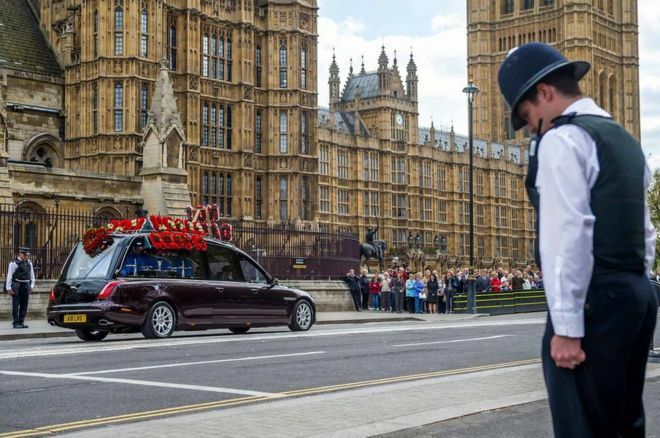 Officers of the Metropolitan Police bowed their heads as PC Keith Palmer’s funeral cortege was driven out of the Chapel of St Mary Undercroft in the Palace of Westminster. 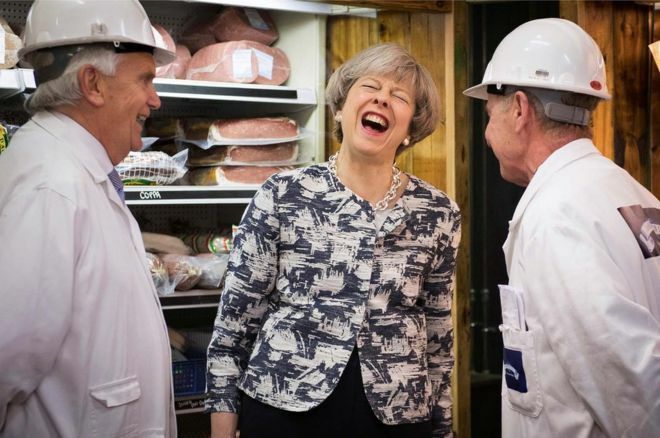 Pete Maclaine photographed the scene. PC Palmer had been guarding the Houses of Parliament on 22 March when he was stabbed to death. 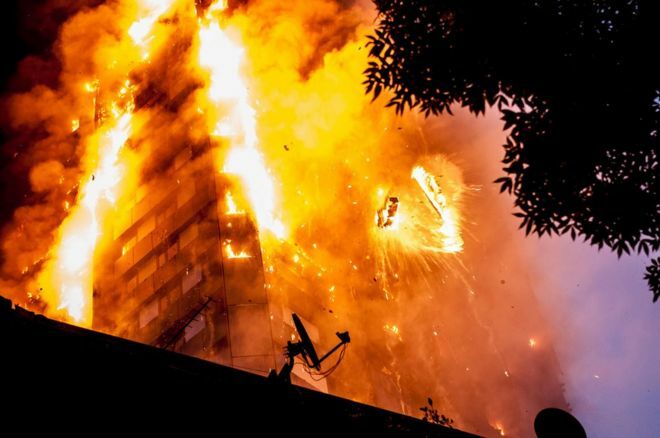 At least 80 people are believed to have died when a huge fire engulfed Grenfell Tower, a 24-storey building in north Kensington, London. This picture was taken by Guilhem Baker.